The arrival of about 80 LGBT+ asylum seekers from Central America in the Mexican border city of Tijuana has provoked an angry backlash from local residents, rights activists said. The asylum seekers are among thousands of migrants who are making their way through Mexico towards the United States. They split from the caravan they were originally travelling with after facing discrimination from others in the group. Fergie Bibiana Andersen of the advocacy group, Diversidad sin Fronteras, said the LGBT+ migrants had been verbally abused in Tijuana and also threatened on social media. “They’re being attacked by the town”, said Andersen, whose organization has been supporting the LGBT+ migrants. “They (attackers) are filled with hate”, she said on Tuesday. “They’re racist people who think (the migrants) are going to just stay there”. 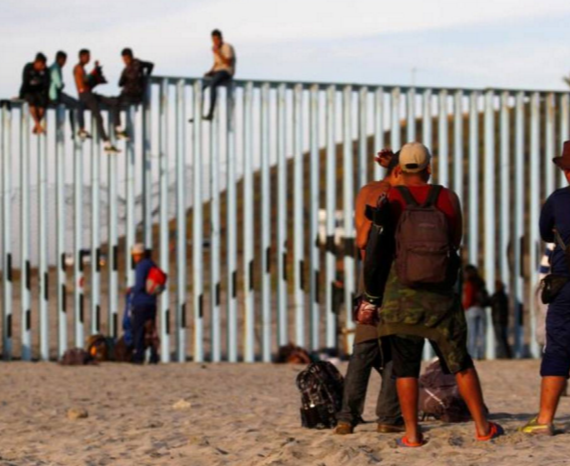 Tijuana resident, Juan Carlos Ruano, wrote on the neighbourhood Facebook page that the migrants were a security concern, and called them “homo-deviant invaders”. “Everyone has the freedom to do what they want with their lives”, he later told the Thomson Reuters Foundation. “But they are impacting us … A lot of people are angry”, said Ruano, 46, who lives in the Playa de Tijuana neighbourhood, where the LGBT+ migrants are staying. Amnesty International said the discrimination highlighted the broader difficulties faced by LGBT+ asylum seekers, as they cross Mexico, including increased violence and abuse from local authorities. “We have certainly identified them as one of the most vulnerable groups within the context of mobility”, Carolina Jimenez, research director for the Americas at Amnesty International told the Thomson Reuters Foundation. In addition to suffering violence and exclusion from their own families, the LGBT+ migrants face attacks from other asylum seekers, she added. “We came with the caravan, the caravan is still going”, Cesar Mejia, one of the LGBT+ migrants from Honduras, told reporters on Sunday. The administration of US President, Donald Trump, has taken a firm stance against the caravan, which began its journey north on October 13, and briefly clashed with security forces in the south of Mexico early on its route. On Friday, Trump signed a decree that effectively suspended the granting of asylum for those who cross the border illegally, a move that could drastically slow claims at gates of entry.